We’re seeking people with diverse expertise (construction/repairs/painting, crafts/sewing, teaching, creative problem solving) who are personally flexible, willing to roll with the ever-changing, challenging daily life in Mexico to volunteer for various mission/community service projects; to share cultural experiences, Christian fellowship and fun! 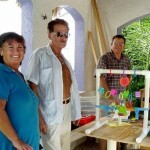 Full Time Mission Week Volunteer…Island residents and visitors who participate in most/all mission activities. Visiting volunteers arrange their own lodging and transportation. Part Time Mission Week Volunteer…Can be as little as ½ day or a multi-day commitment…Visitors and/or island residents who want to participate in one or more selected projects to benefit the community. Mission Host Volunteer…Island residents who volunteer time/expertise, transportation, food/cooking, tools or other resources to help facilitate or support projects and visiting volunteers; project work optional. Mission Donor…Supporters who wish to contribute monetary or in-kind resources. Mission Projects/Activities . . . focus on children and families in need, support education, and other community efforts. Following are examples of the scope of projects for past and future mission weeks. CAM School for children with disabilities: 20+ construction projects and teaching resource needs identified by the staff. Examples: Remodeling bathrooms to be handicap accessible, building parallel bars to help children learn to walk, obstacle course to teach visually impaired students to navigate independently, locked cabinets to secure cleaning chemicals from children, shelves for teaching materials; Making alphabet/number sets and other learning aids. Plan and teach craft projects to young women with various disabilities. Carrie’s Heart Casita Corazon is a home based environment for therapy and serves as a resource center for children with disabilities and their families: renovate property by repairing water damage, sealing roof, removing mold from interior ceilings and walls, painting interior, plumbing and other repairs, assessing electrical safety. Design/construct therapy mat table, equipment storage, balance swings, light boxes, sensory panels. Provide volunteers for summer daycamp, family outings and stimulation therapy activites. Christian outreach efforts—Construct a raised platform for worship services for Vida Abundante (ministry that serves families in need); visit youth ministries; make/donate Christian youth education materials; make/donate curtains and decorative banners for worship; mission musicians for Christian music concert and church services; plan/provide carnival games for youth/families; serve as volunteers for Bible School; coordinate planning and implementation of building improvement projects. Pack and distribute school supplies . Provide donations and facility improvements for non-profit organizations such as Manos y Voces (hearing & speech impairments) and Centro de Autismo (center for autistic children). 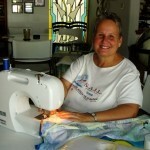 Teach skills and workshops to youth and adults – sewing, crafts, home repairs, gardening, snorkeling, etc. Was delighted to find information on your organization on the coz my coz message boards this morning. Also, to see the midwest and Lincoln, NE. ties! I did subscribe to your site and will keep my eye out for information on future mission trips. Cozumel holds a very special place in my heart as do the local people. We travel there two to three times a year and had it not been for a family medical situation, would have been there during your mission trip this month. It is indeed a small world! Thank you for all you do and have done for this wonderful little island. I know it is greatly appreciated!